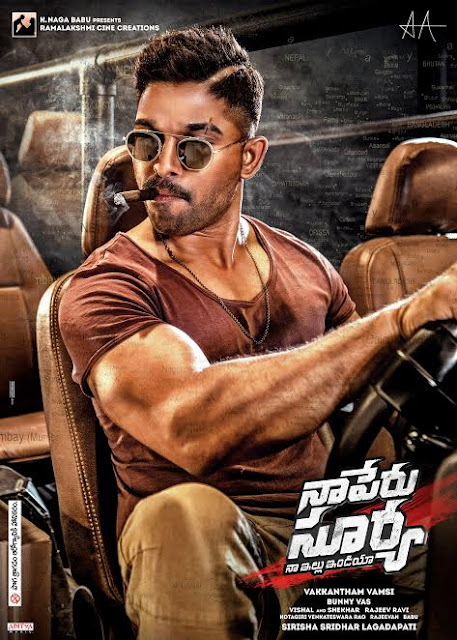 Stylish star Allu Arjun is currently working towards the release of his upcoming film Naa Peru Surya under the direction of debutante Vakkantham Vamsi who earlier provided stories for several hit movies. Meanwhile, Naa Peru Surya poster impact will be released today at 4:30 PM. Those who have already seen the poster say it is one of the best in recent times. First impact and two songs from the film are already garnering a good response. The strategic moves of the team are seemingly positive and indeed appreciable. Produced by Sridhar Lagadapathi and presented by Nagababu, co-produced by Bunny Vasu features Anu Emmanuel, Arjun Sarja, Sarathkumar, Vennela Kishore, Rao Ramesh and Boman Irani in the lead roles.